As I’ve grown and evolved as a coach, it’s made me a think a lot about the coaches I’ve had in the past. I went to a very small high school (graduating with 47 people! ), and we didn’t have some of the big, alpha male sports like football, wrestling, etc. As a result, my two favorite sports to watch and play were basketball and volleyball. They also provide a stark contrast between two extremely different coaching styles. Growing up, basketball was my first love (insert random Indiana joke here). Regardless, I remember being outside with snow and ice on the ground shooting baskets, trying to work on my game. My basketball coach was a very tough guy. He was cut from a cloth similar to that of Bobby Knight – in your face, no BS, and infinitely demanding – sometimes to the point of being unreasonable. I had played a ton throughout middle school, and figured that would be no different as I got into high school. My basketball coach was actually my coach both during my JV and Varsity years. His in your face, break-you-down mentality was not ideally suited to me. As an athlete, I always thought that if you wanted to make someone better, you should make it a point to relate to that person. To figure out what makes them tick, and to help push the appropriate buttons to get their best effort. Instead, by the time I finished basketball my senior year, I’d about had it with the sport. We weren’t very good as a team, and I’d basically had the joy of the game beaten out of me. When you’re 17 or 18 years old, who wants to go to practice and be yelled at for hours on end? It’s not like I was getting paid to play basketball or something! Looking back, I’m sure I was a whiny little brat, and if I was a little bit more objective I’m sure I would’ve looked at my coach differently. The guy obviously knew the game and I learned a ton from him, but his coaching approach wasn’t well suited to me as an athlete. Now contrast that with both of my volleyball coaches. These were both younger guys, and both of them were demanding without being confrontational or in-your-face. Did they expect a lot out of me? Sure. And there were athletes that this approach worked with – some athletes respond incredibly well to this style. But just as you need different cues to get someone to move efficiently in the weight room, the approach you use to get through to different athletes is critical, and I think that’s molded me as a coach. They say that a great coach doesn’t see you as you are now; they see what you’re capable of in the future. 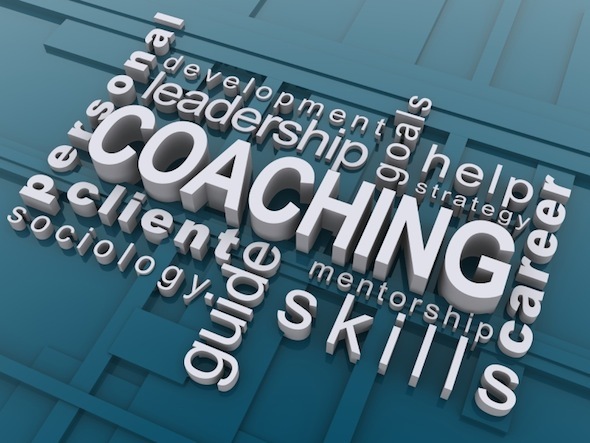 Furthermore, a great coach helps YOU see what you’re capable of. This has been something I’ve long since carried with me when coaching my clients and athletes. I want to be demanding – I want them to know that I expect a lot out of them. My time is valuable, and I don’t like to feel as though it’s being wasted on someone who isn’t serious about improving themselves. I need to show them that I believe in them, perhaps more than they believe in themselves at times. Quite simply, I know that they can achieve their goals – whether it’s losing body fat, gaining muscle mass, or getting stronger. Sometimes all we need is a positive, uplifting person in our lives to help us get there. If you work with clients and athletes for a living, I’d implore you to look critically at yourself and your approach. Are you getting the most out of your clients and athletes? Are they responding to your demands? Or could you make a small change that leads to a positive impact in their life and performance. Looking back, I know that all of the coaches that I’ve spent time with cared about me as an individual – as a human being. But I also know that the ones I related to the best were the ones that I worked the hardest for, and got the best results with. Hopefully your clients and athletes can say the same thing about you. Great post Mike…makes me think about how I’m affecting my campers. Interesting read. Thanks! One of the best coaches I ever had was during the final 3rd of my freshman basketball team season when our school’s AD (a woman who had once been a USA Basketball assistant coach on a women’s national team at like the Goodwill Games) stepped in to finish out the season after the varsity coach had to miss the remainder of the season to deal with a health issue and the JV coach became the varsity coach and the 9th grade coach became the JV coach. She stepped in and took a talented team with some real knuckleheads and focused us and made us better. She wasn’t a screamer. But, she also had us working hard and smart. One of the coolest “tricks” she used really opened my eyes to trying to incorporate game like situations into practice sessions. Most basketball coaches have their teams shoot a bunch of free throws throughout practice to try and improve. This coach went with a more “game like” approach. 3 or 4 times during practice, she would have everyone break out and shoot 2 free throws. For each one you missed, you had to run “4 lines” which was from one baseline to the other and back twice (down and back, down and back). Our in game free throw shooting seemed to be a lot better during that segment with her as the coach. When I’m coaching kids, I try and think about trying to make practice drills as “game-like” as possible as there needs to be time to break things down and focus on them. But, you also need to be able to do things “at game speed” and in “game like conditions” or else it’s useless. My high school and college position coach was a real piece of work. Vietnam War hero, Marine Sniper, Italian. Made for one VERY excitable human being. He pushed, yelled, screamed, punched, and but, most importantly, he led us. Taught us many things about honor and loyalty. At least 3 times, he went after fans who were berating us (my Dad had to pull him off 2 of them). To this day I still see him and love him.